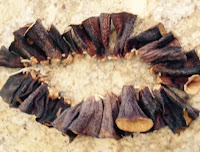 At times, it’s not easy to find dried eggplant skins. In October, I happened to be in the heart of the Middle Eastern community in Paterson, NJ, surrounded by more ME stores and restaurants than you could possibly imagine. I was pretty confident I'd be able to find the skins even though some ME stores don't carry them. 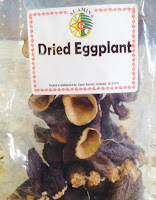 The fact that dried eggplant skins are available this time of year made my search a little easier. After spotting a huge display at Nouri's, I bought two bags - one for me; one for my daughter. Their sizes varied and the skin in the center has a large hole in it. 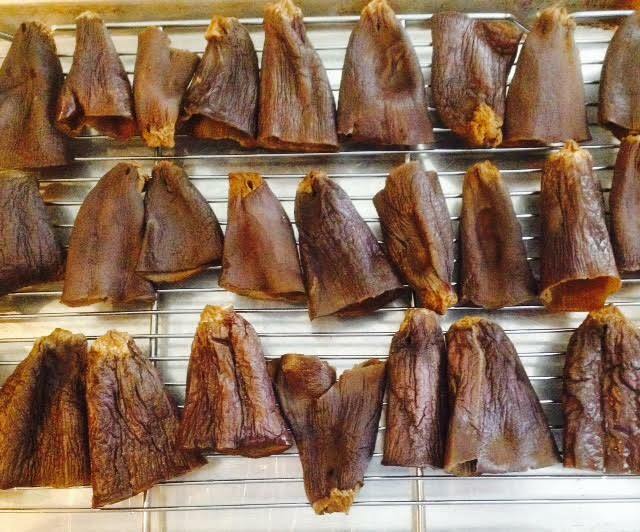 I was especially pleased to find there were 28 dried skins in the bag I bought. Sizes vary, and some were torn or had gaping holes, but that's not a problem. My bag of dried skins had to endure a flight from NY to FL, so a few got a wee-bit crumbly, but most of them survived. 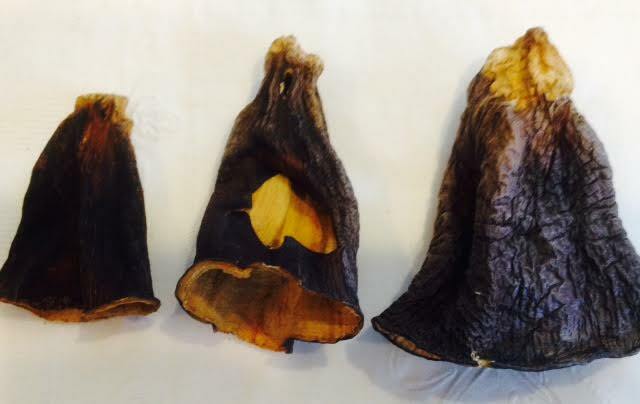 By the way, if you're in the market for dried eggplant skins, but can’t find them in your area, my friends at Macar and Sons have it in stock right now. 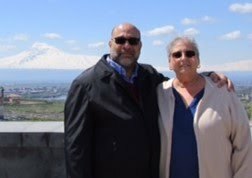 You can email them at: info@macarfoods.com, and tell them The Armenian Kitchen sent you! 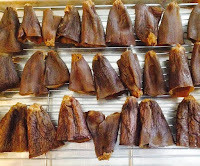 Order several packs because the dried skins will last a very long time in your pantry. 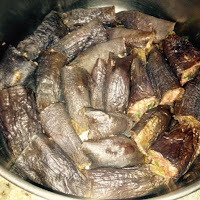 It's time to share the recipe for dolma I promised a few months back. 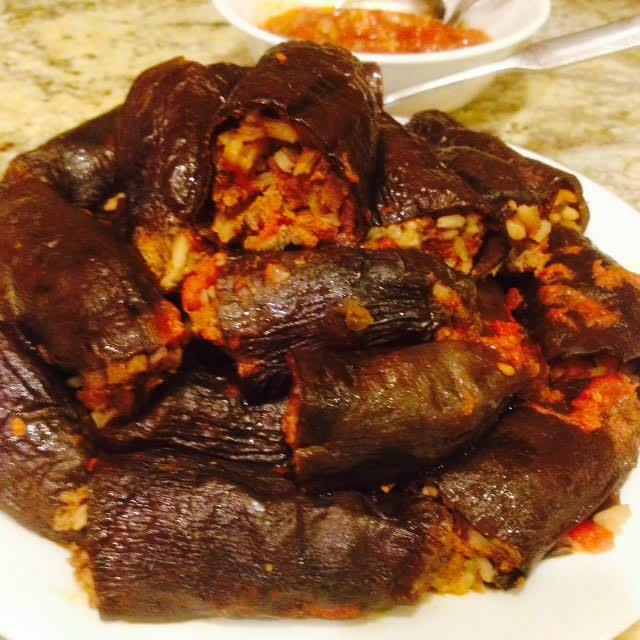 This is the Dried Eggplant Skin Dolma recipe my paternal grandmother, Haiganoush Dabbakian, used to make. 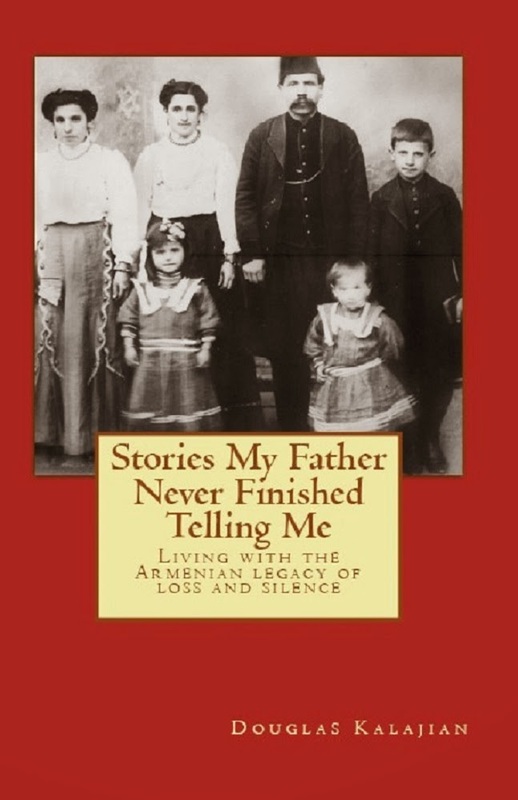 My aunt Zabelle Dabbakian Keil (we call her Zippi) sent it to me. Mix together the following ingredients in a bowl. Cover and refrigerate until ready to use. “Put a large pot of salted, boiling water on the stove. 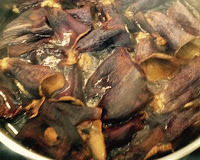 Place the dried eggplants in the boiling water, stir a few times to separate them, then allow them to simmer (for about 15 to 20 minutes). Don't stir too much, as they are fragile and you won't want them to break up. The simmering will soften them up. When you see that they have opened up and softened, turn the heat off and just allow them to stay in the water for just a little while (about another 10 minutes). 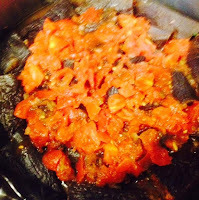 When you feel they're soft enough to work with, drain them and allow the eggplants to cool. Once they have cooled, you can begin working with them by filling them with the prepared "meechoog". (See above) NOTE: Don't pack in too much filling as the rice needs room to expand. 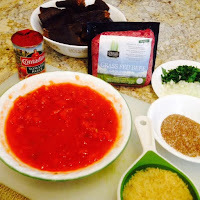 Serve in a bowl with some of the sauce, and/or with plain yogurt, if desired. Thanks for posting this recipe, with the very clear directions on how to reconstitute the eggplants. I just made a (similar) recipe and the directions came in very handy. 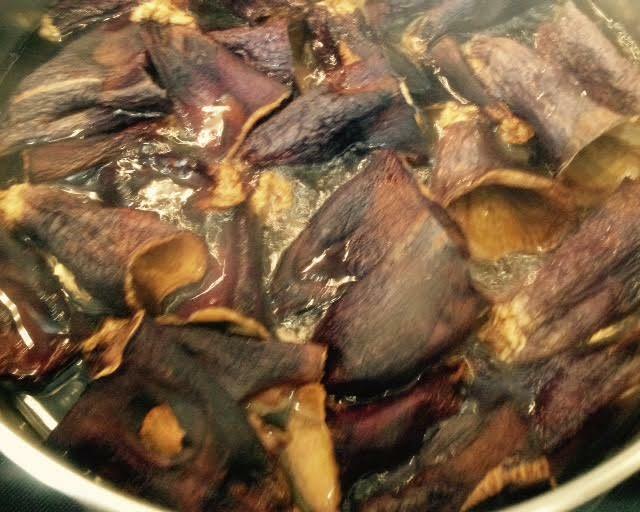 Dried eggplants taste differently from fresh eggplants and it is well worth trying it out to see the difference. They are also thinner than fresh eggplants, so better for stuffing. Mine were on a string that went through the base of the eggplants, so I did not need to poke holes. One word of caution: many of the dried eggplant and dried pepper products sold here in LA come from Turkey. Double-check and ask around, unless you want to support the Genocide economy. Homemade Yogurt in a Slow-Cooker? Why not!